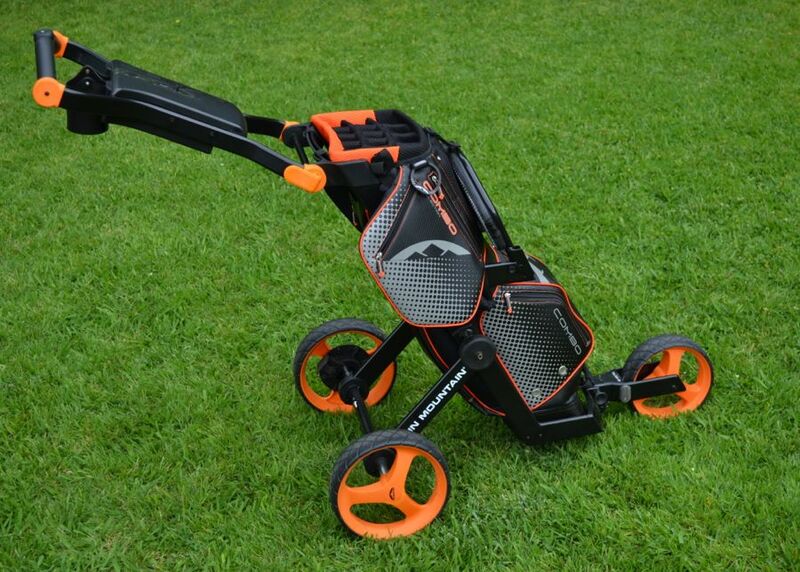 The best thing about having the bag and cart together is that the bag and cart are together. Every time I see the word combo I think of two things. First to mind is the 90’s coin-op video game Killer Instinct. I don’t know who did the voice work on that game, but I hear his voice in my head every time I read or write the word. Monster Combo! Ultra Comboooooo! Man, Cinder was cheap in that game. Naturally, the other thing that combo brings to mind is boxing, where combo is short for combination. 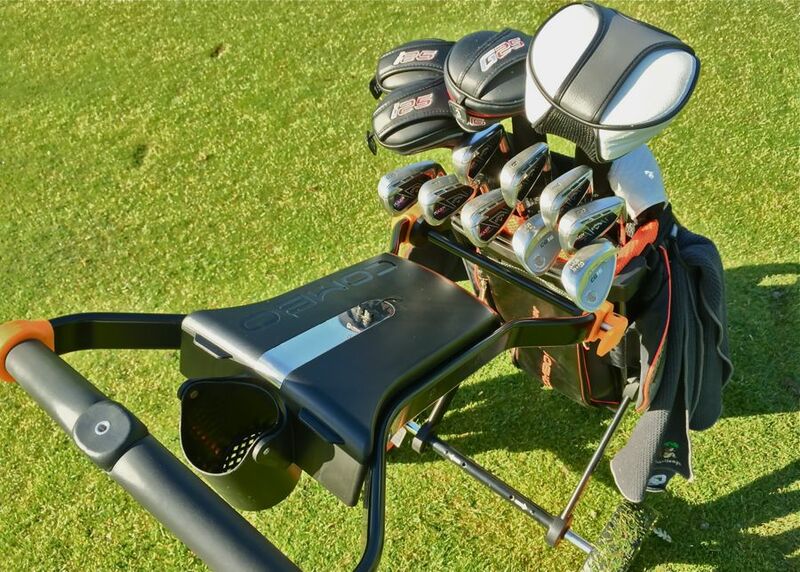 What do boxing and video games have to do with Sun Mountain’s combo cart? Indulge me for just a moment…we’re almost there. 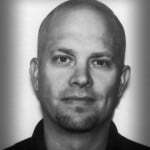 In boxing, stringing together punches in combination has the potential to be far more effective than if the punches were thrown separately. Two jabs and a cross as solo shots just don’t do the same damage as a jab-jab-cross combination. If you ever played Mike Tyson’s Punch Out on Nintendo, you understand this. The jabs open the door for a much more devastating cross, thus making the combination more lethal than the sum of three punches thrown individually. 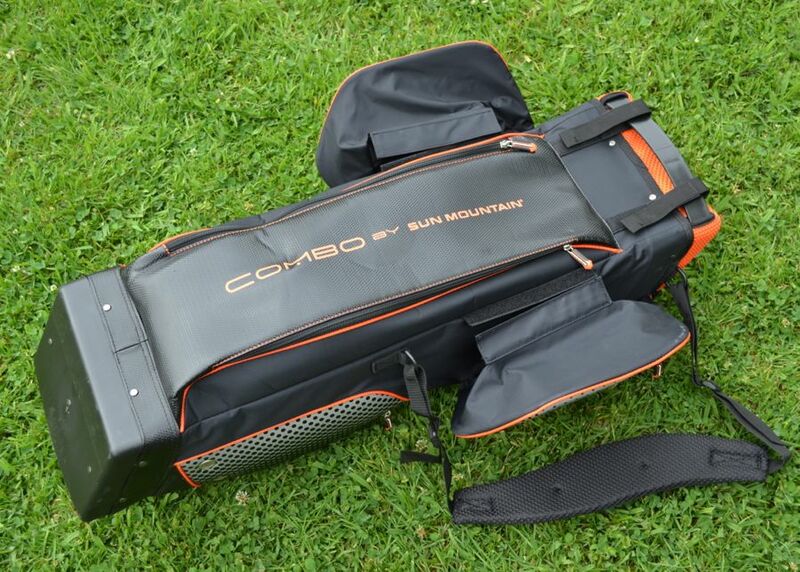 In case it hasn’t been clear what I’ve been driving at, the Sun Mountain Combo Cart is a both-in-one combination of golf bag and pushcart. Does this combination create some one-two punch synergy, or does it fall flat to the metaphorical canvas? The Sun Mountain Combo Cart brings some excellent features to the ring. 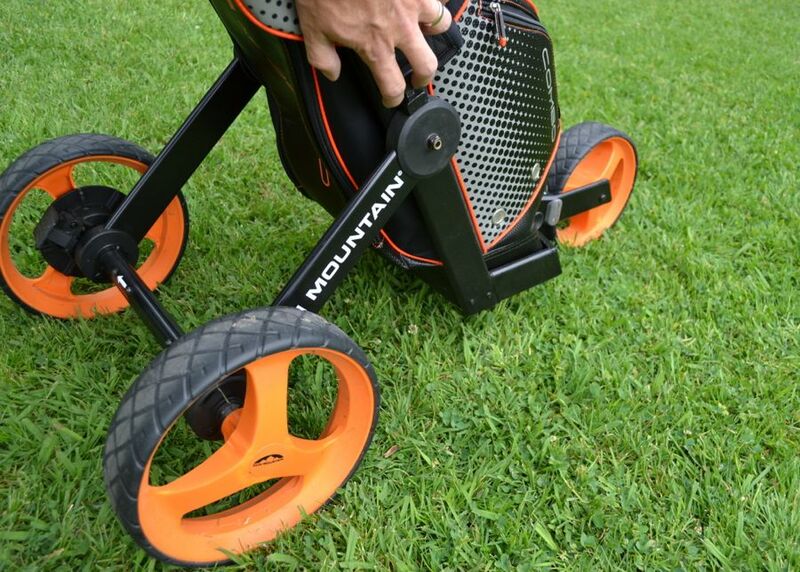 We expect this, as Sun Mountain has long been one of the big players in the cart game . Let’s take a closer look at the strengths of the Combo Cart. 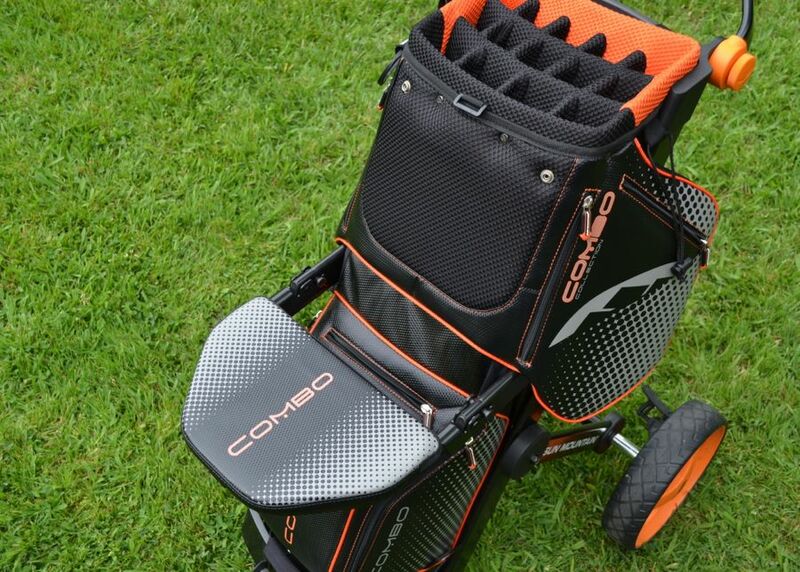 The best thing about having the bag and cart together is that the bag and cart are together. These two pieces were designed together, and so as they should, they fit perfectly together. This is seldom the case when one buys the cart and bag separately. 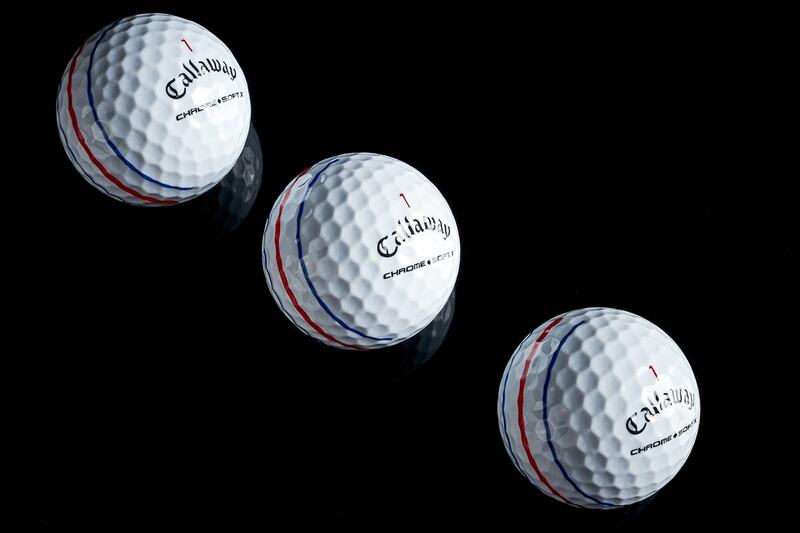 With the combo, there is no struggle to get the components to play well together. It’s what they were designed to do. 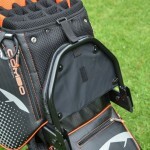 Along with that perfect fit comes the total elimination of any issues related to bag slippage or rotation during play. The Combo Cart remains combined and stable…always. 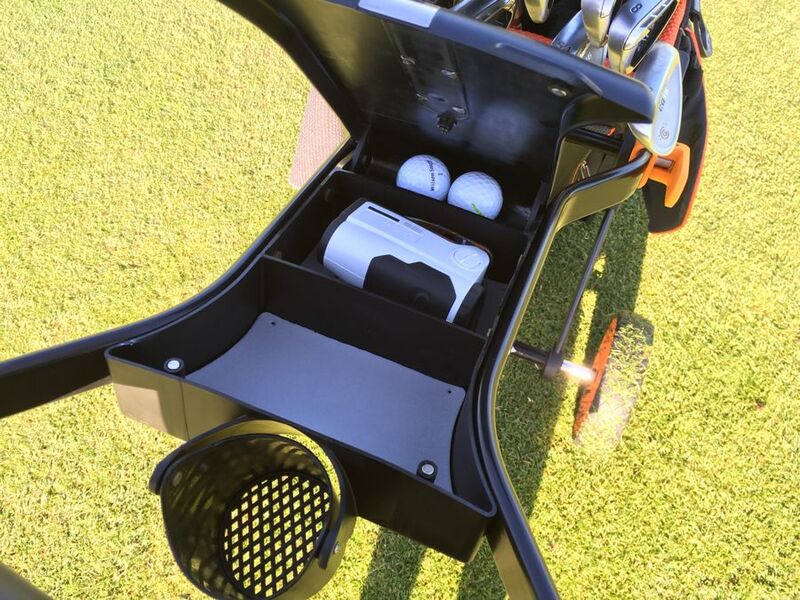 The retail price of the Sun Mountain Combo Cart is $469.99. Yes, you read that correctly. 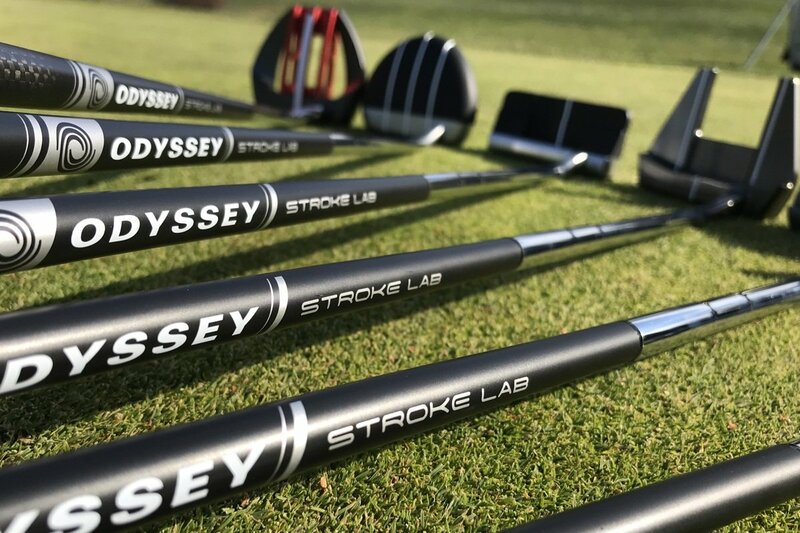 The Combo cart is $470. Give me a few seconds to explain why that’s a good thing…or at least not as insane as it sounds. It’s really just simple math. 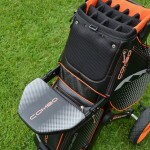 Consider that a new C-130 Cart Bag costs $230, and a new Speed Cart V1 Sport goes for about $210. 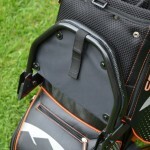 Purchased separately, a new Sun Mountain bag and cart will run you roughly $440. That puts the pricing for the Combo Cart right about where you would expect it to be. For an extra $30 you’re getting a unit designed to fit perfectly together, that also has some great additional features, which we’ll get to in just a bit. Obviously, if you only need to a bag or you only need a cart, then the Combo Cart doesn’t make economic sense. 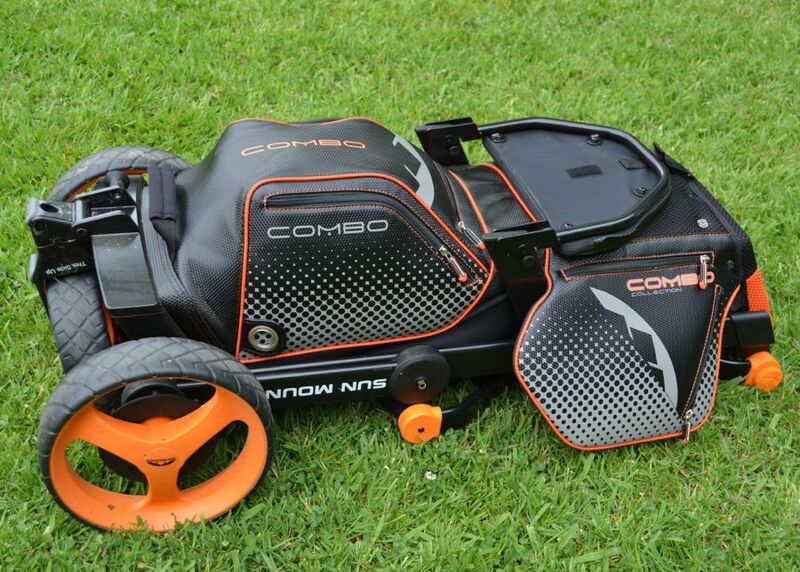 If you are looking to replace both, however, the Combo Cart is price competitive. 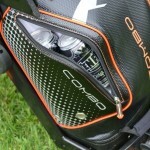 Worth noting, you will have the option to purchase replacement bags down the road. 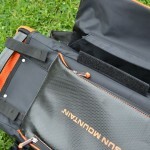 It’s reasonable to assume that the fabric bag will wear out before the metal and plastic cart. 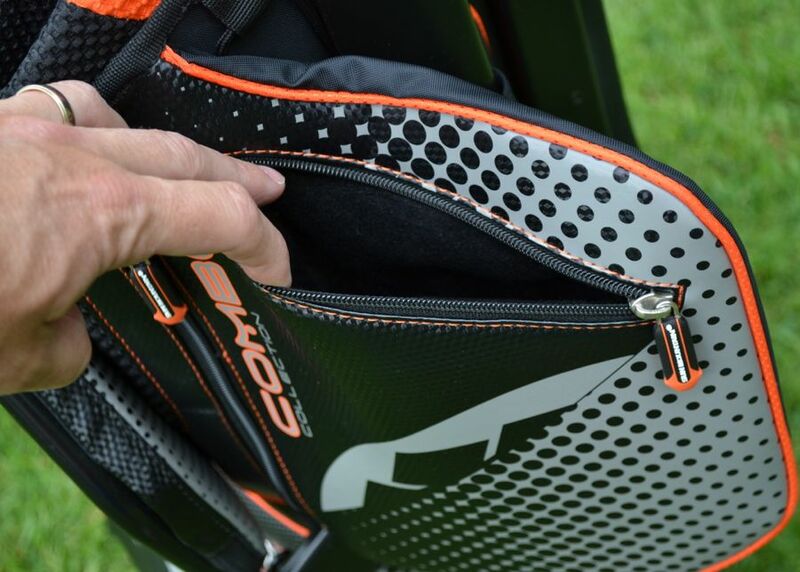 When it’s time to replace the bag, you won’t need to spend another $470. 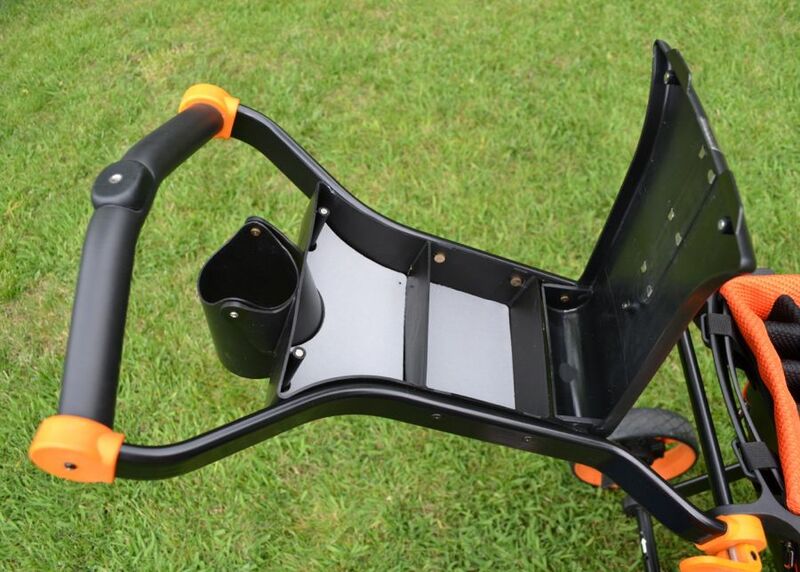 Some carts can be irritatingly complicated to fold, unfold, and re-fold. Not so with the Combo Cart. Flip out and rotate the front wheel, pull one toggle to lower the back wheels, and then flip one lever to release and adjust the handle to the correct height and you’re done. You can also then increase the rear axle length, and thus improve stability by pressing a couple of buttons. Overall, it’s very easy. It’s a quick process. 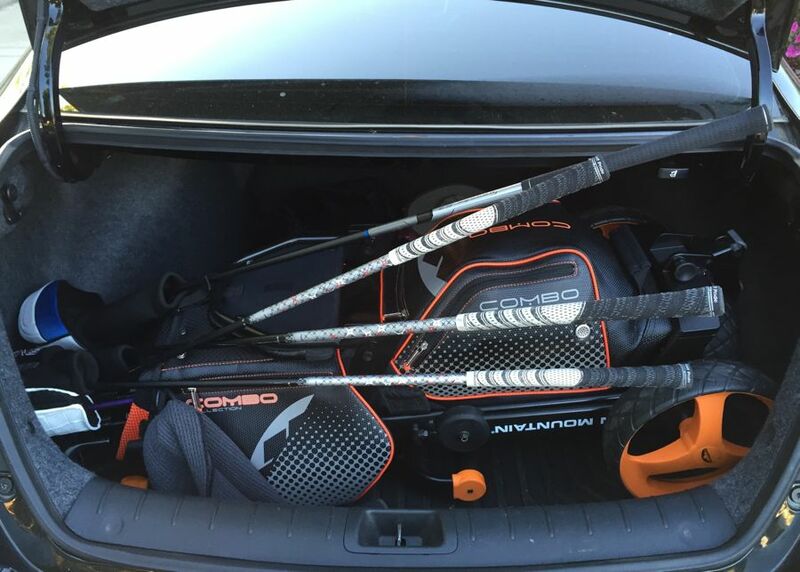 I’m typically the last guy to get the gear packed into the trunk after a round. It takes a while to detach the bag, fold the cart, and then drop it all into the trunk. With the Combo Cart, I was actually waiting for my buddies to put their gear away for once. 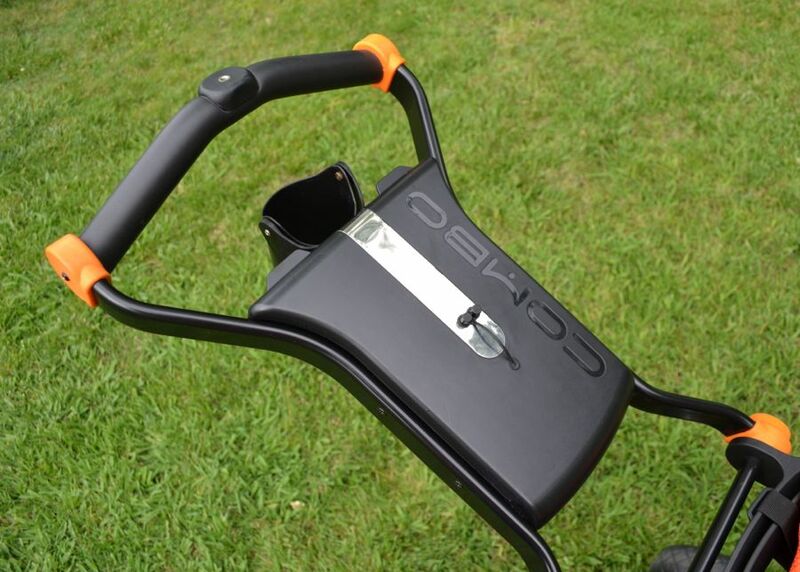 That’s one of the advantages of the all-in-one design. You can fold it up with the bag still attached, and drop it right into your car. 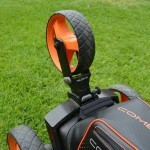 The Combo Cart is unobtrusive breeze to use on the course. With just a couple of minor issues, the Combo Cart performed its duties so well that I almost forgot that I was using it. That’s not the case with all carts. 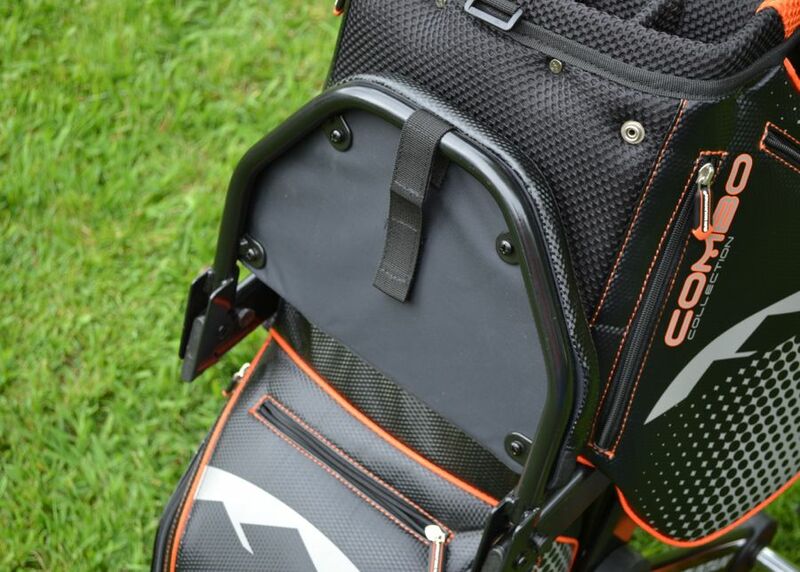 Nothing adds unnecessary frustration to a round of golf like fighting to keep a bag snug, or constantly realigning a cart that perpetually veers off line. The cart is easy to push. 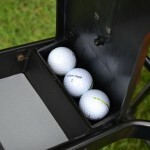 The console provides ample storage – including a novel take on ball storage. 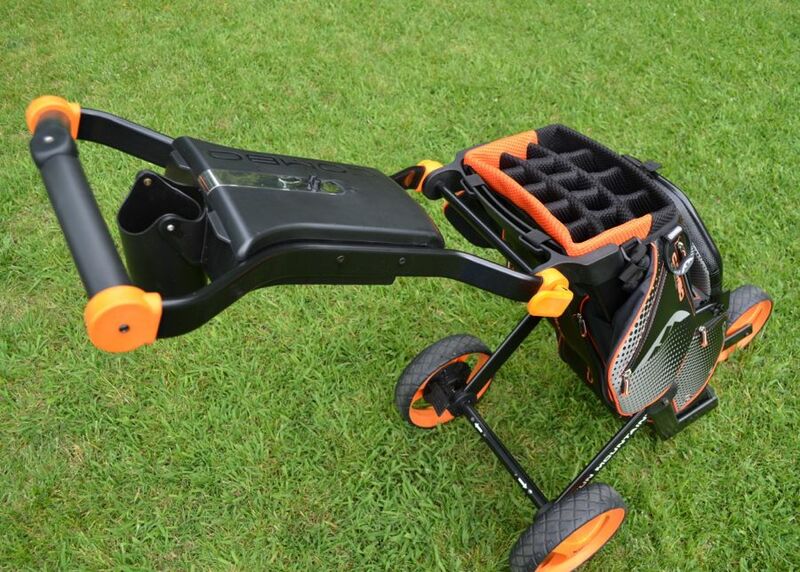 The brake is sufficiently powerful, and the cart is overall very stable both when rolling and when parked. 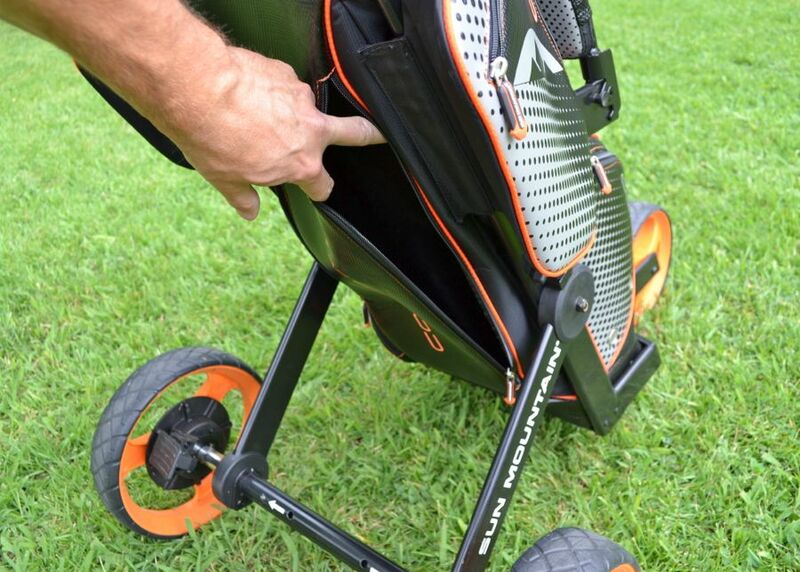 The rectangular fourteen-way top provides easy access to your clubs while keeping them apart-enough that they don’t clack together when the cart is rolling. 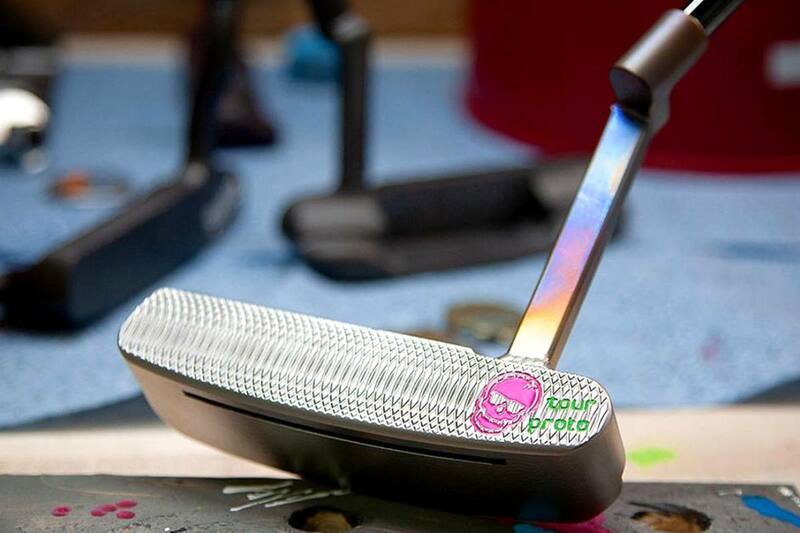 While there isn’t a compartment specifically designed as a putter tube, I would feel confident carrying even my most precious putters in the Combo Cart. 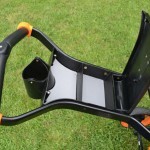 The bag detaches easily from the cart should you choose to take a riding cart rather than walk. 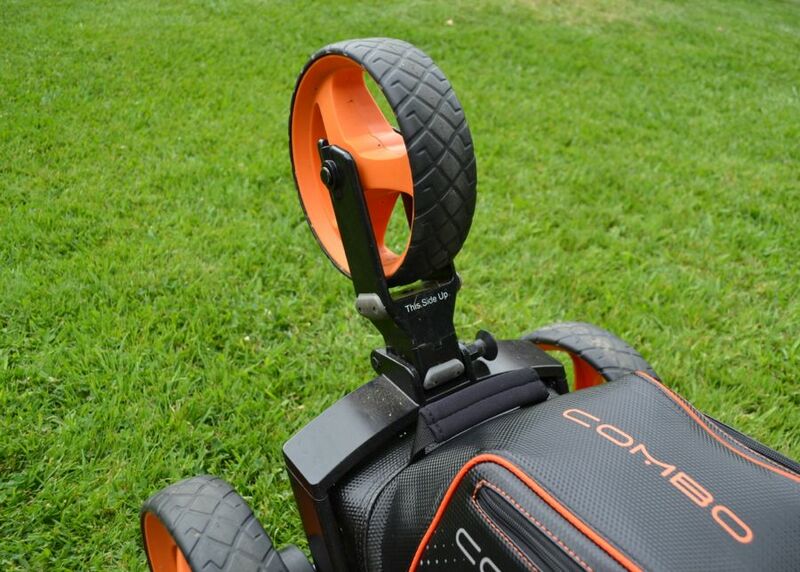 In testing we found that the Combo Cart works just fine on the back of the power cart. There are a few issues that came up during play, but as you’ll see, most are relatively minor. Sticking with the boxing theme, you might call them standing eight counts. Other issues could be knock-out blows; significant-enough for some to cross the Combo Cart off the short list. 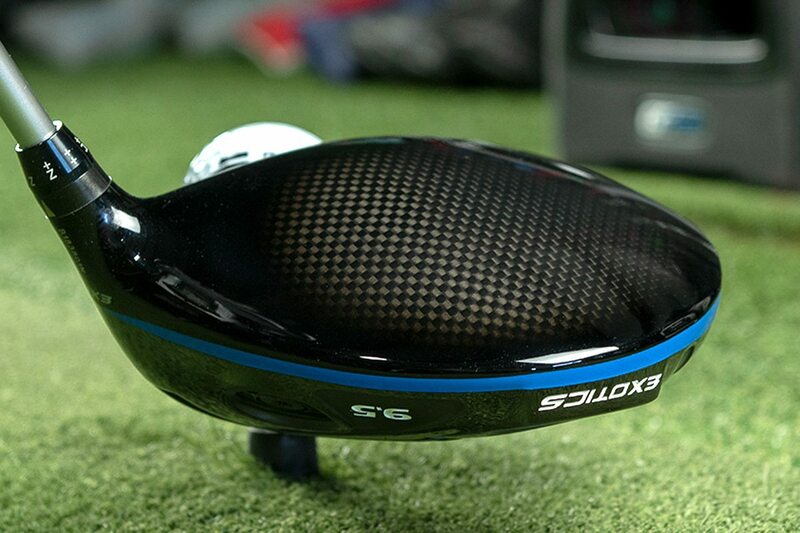 First, there are no holes in the console for tees. As I said, it’s a minor thing, but just a couple of spaces to drop tees into would have been nice. I’d also welcome a Velcro patch somewhere on the handle/console portion of the cart where I could attach my glove. A small netted section (like those found on other carts) is handy spot to toss things temporarily without the bother of opening the console. The Combo Cart offers no such thing. Though the foot switch works well for engaging the brake (and the brake works well), I would prefer that the brake control be located near the console. It’s just easier to access from up there. 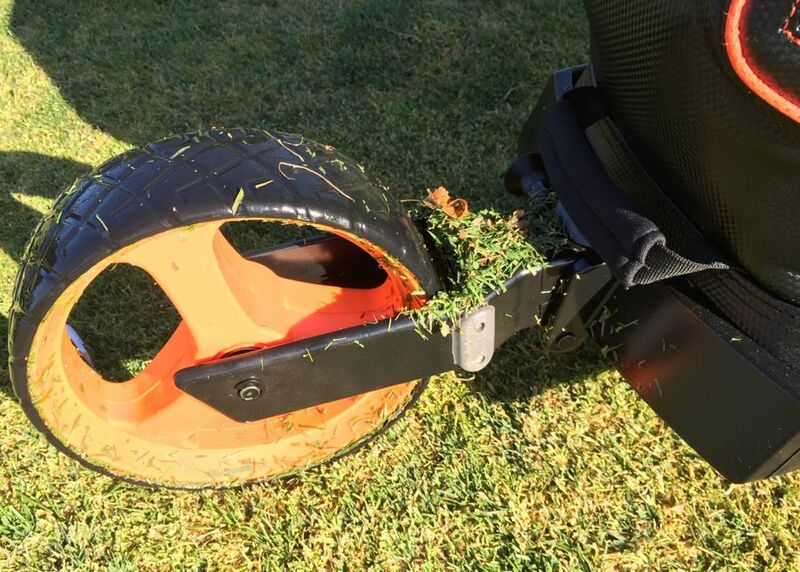 The last minor thing is that the front wheel showed a tendency to scoop up grass clippings as the cart was rolling down the fairway. The roll itself stayed true, but I did gather a sizable pile of clippings in my trunk before I noticed the issue. 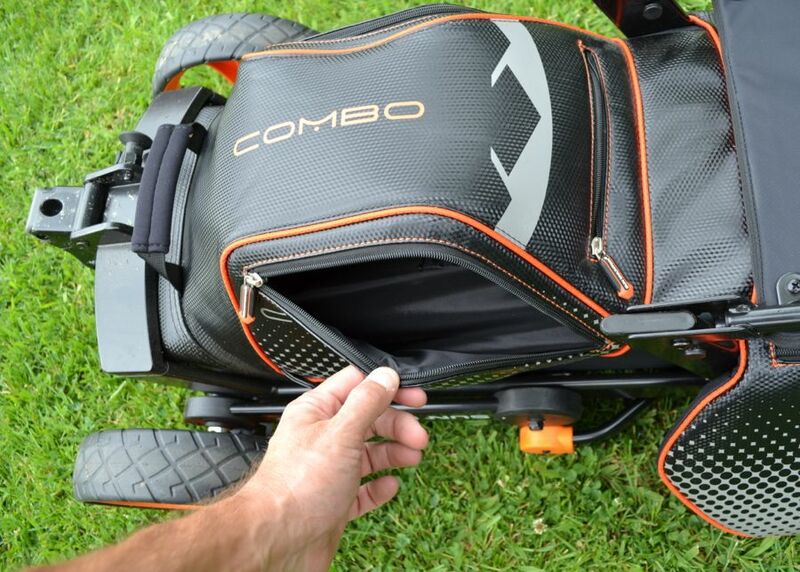 While there are eight pockets, the Combo Cart’s overall storage volume is a little light. 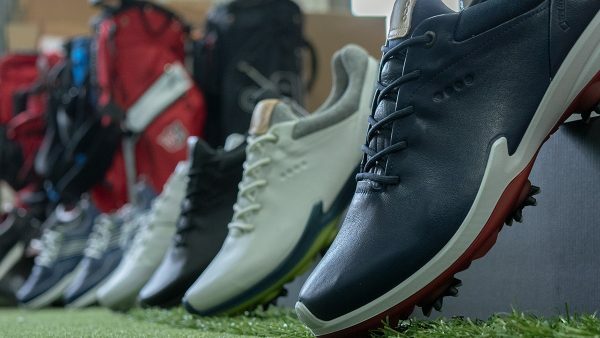 To be fair, there is enough room to fit in most of the gear that you need to play golf, but maybe not all of the gear that some of you like to carry. 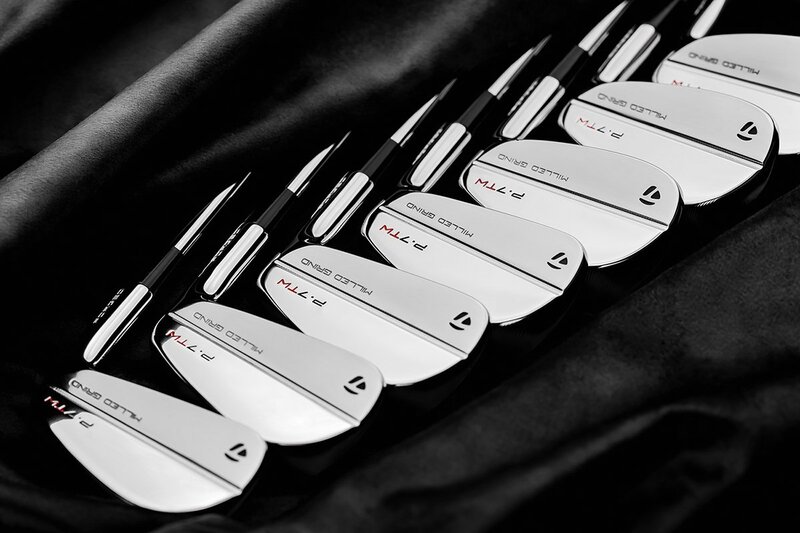 The side pockets are sleek in design, perhaps a bit too sleek. Blow them out a bit. Make them roomier. 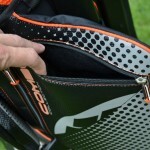 One real irritation for me is that the zippers restrict access to some of the pockets. When unzipped, the openings remain narrow such that the teeth of the zipper scrape across the back of your hand when reaching in and out. My hands aren’t huge, and we are not talking drawing blood here, but the scraping sensation is an annoyance. 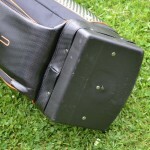 The garment pocket is located on the underside of the cart. There are two zippers and you’ll need to get under the console to access them. The pocket offers enough room for your sweater and other oft-not-needed layers, but I’d recommend removing the rain cover to free up some space. 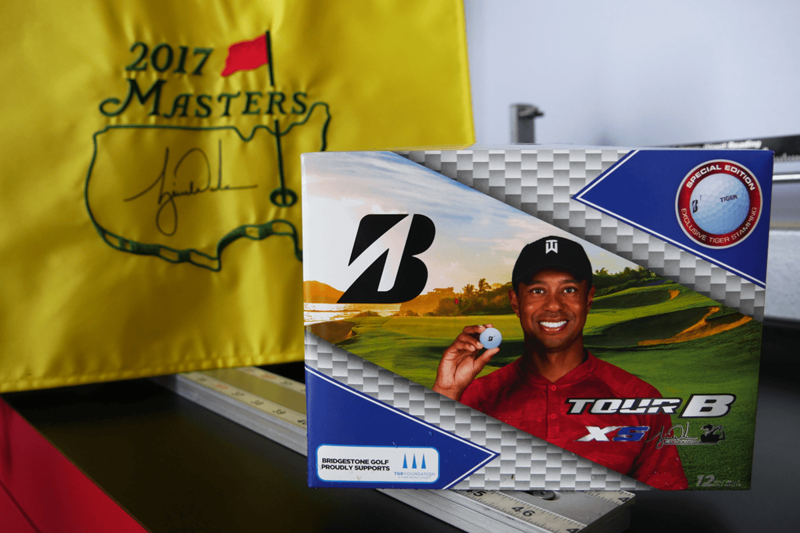 Be advised that the garment pocket is not accessible while the cart is folded, and that can complicate pre-round packing as well. 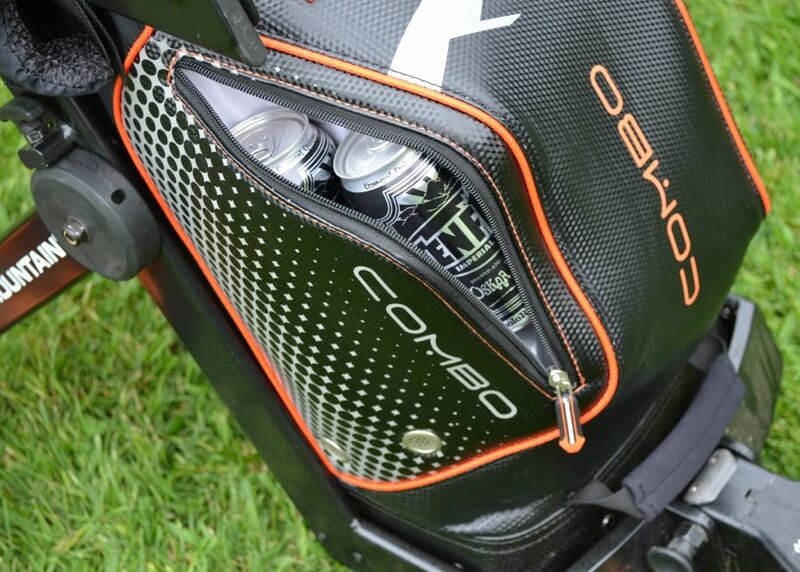 The beverage compartment holds three twelve-ounce cans. While three adult beverages is likely sufficient for most rounds, we’ve all had days where additional insulated space couldn’t hurt. Add any food or an ice pack, the pocket fills-up quickly. This pocket really needs to be bigger. 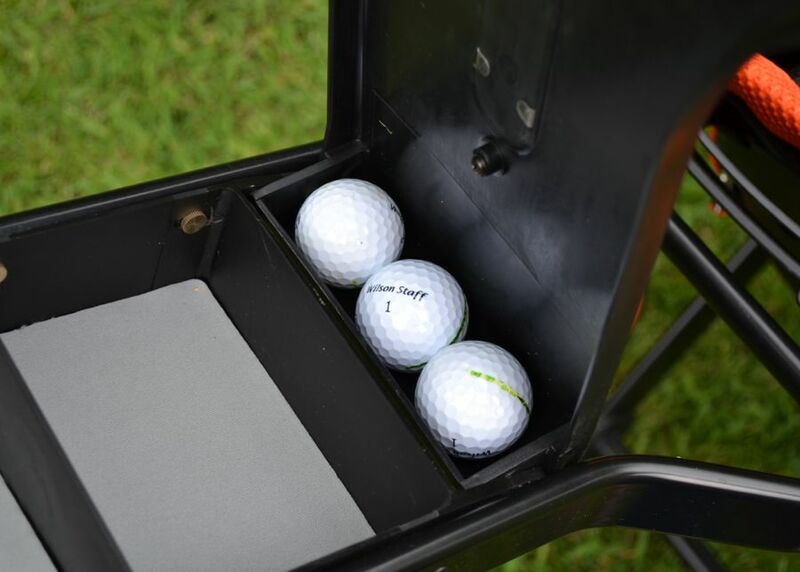 The Combo Cart creates an aura of leisure on the course. Perpetuating that mystique requires more beverages and snacks than the pocket can hold. 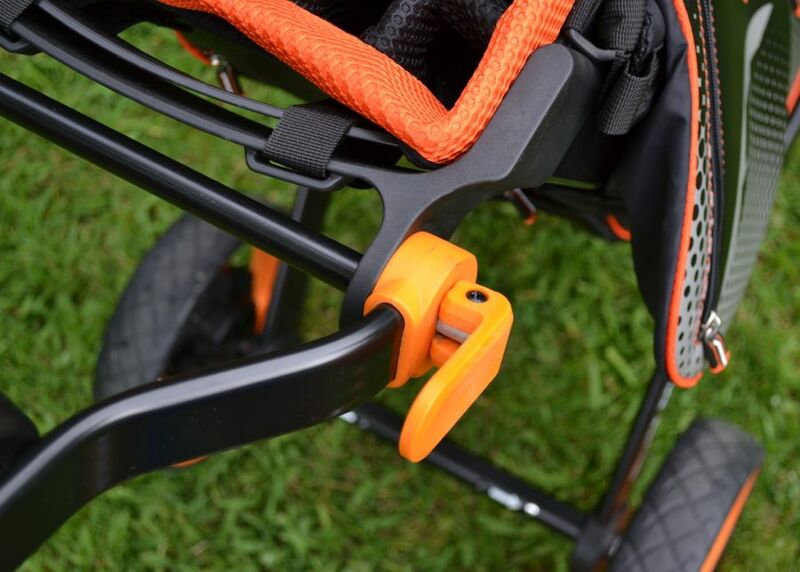 While the folding and unfolding ease of the Combo Cart really help with transport, it’s not without its issues. First, there is the weight. 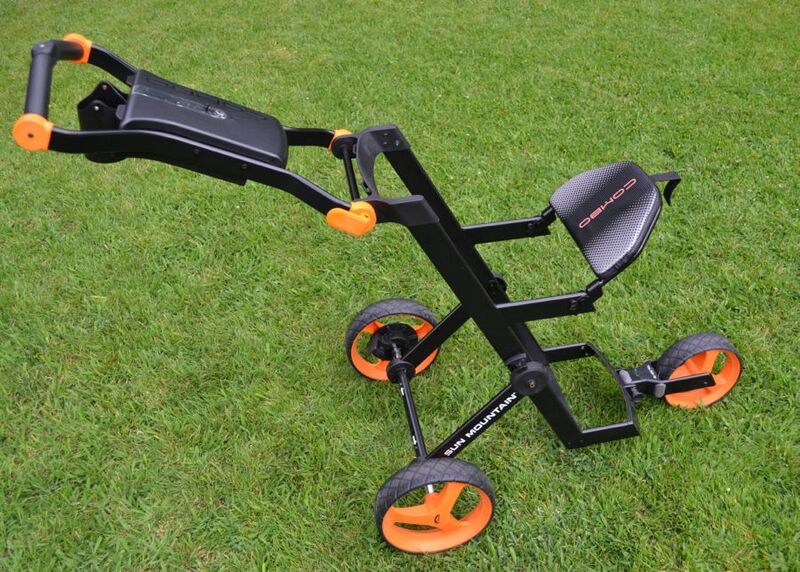 The cart itself weights only 25 pounds, but once I added clubs and other golf junk, the weight jumped to 45 pounds. That’s without beverages. 45 pounds is not too heavy for me to sling into the trunk, but it could be for some. I’m not sure that my avid-golfing mother, for example, could easily transport the Combo Cart, and I would assume that she’s well within the target demographic. 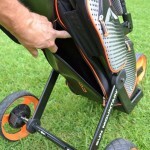 Another issue with portability is that the cart must be carried when folded. 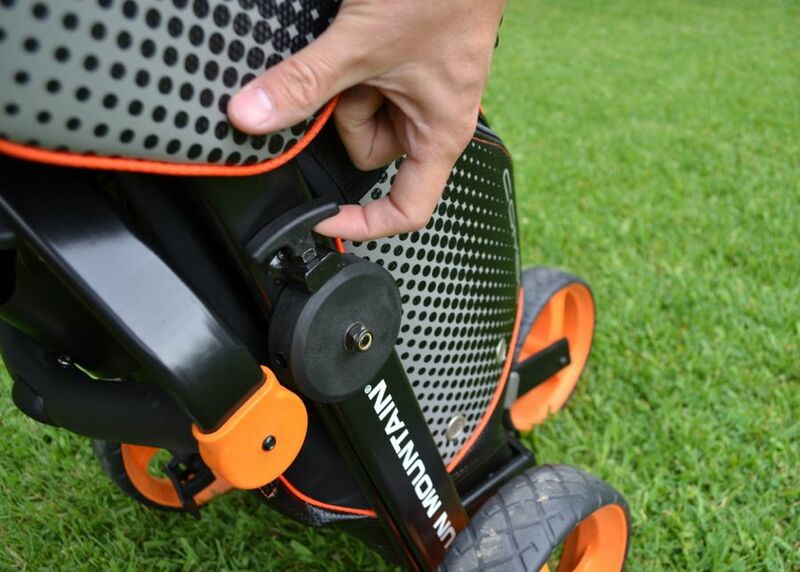 While it may look like it rolls like a hand-truck, the folded-under bottom wheel gets in the way. Car to garage transport requires you to either unfold the wheel to roll it, or lug the 45 pounds. 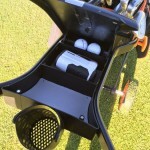 There can also be issues with fitting the cart into my trunk when the clubs are in the bag. For reference, I drive a Honda Accord coupe. It doesn’t have the largest trunk, but I can typically fit a couple of folded carts and bags in it without issue. 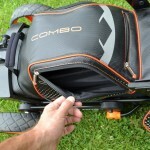 For the Combo Cart to fit, I need to remove the woods from the bag. This doesn’t take much time, but it does prevent me from simply folding it up and dropping it into the trunk. 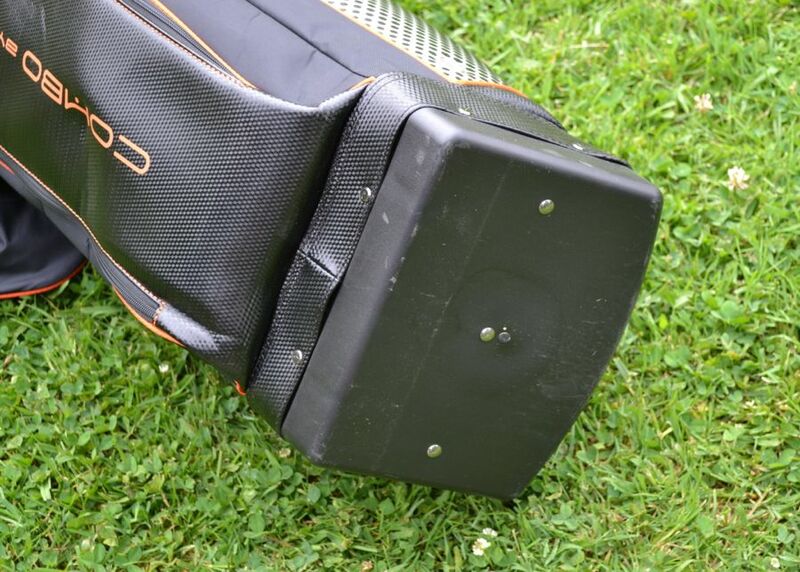 If you store your clubs and your cart at your club, these portability problems are non-issues. 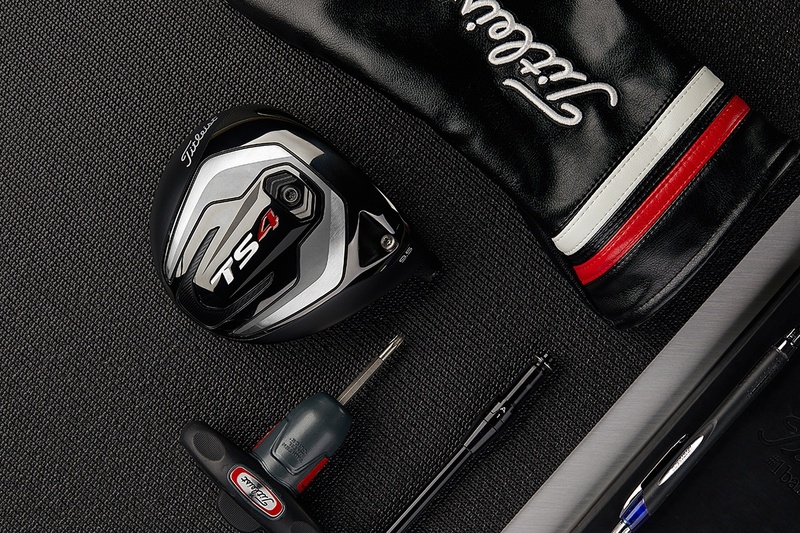 Hit the locker room, fold out the wheels, and head to the first tee. I’ve purposely saved the best feature of the Combo Cart for last. That feature is the folding seat. I mentioned above that this cart is a leisure machine. The bulk of the credit for that goes to the sweet folding seat. 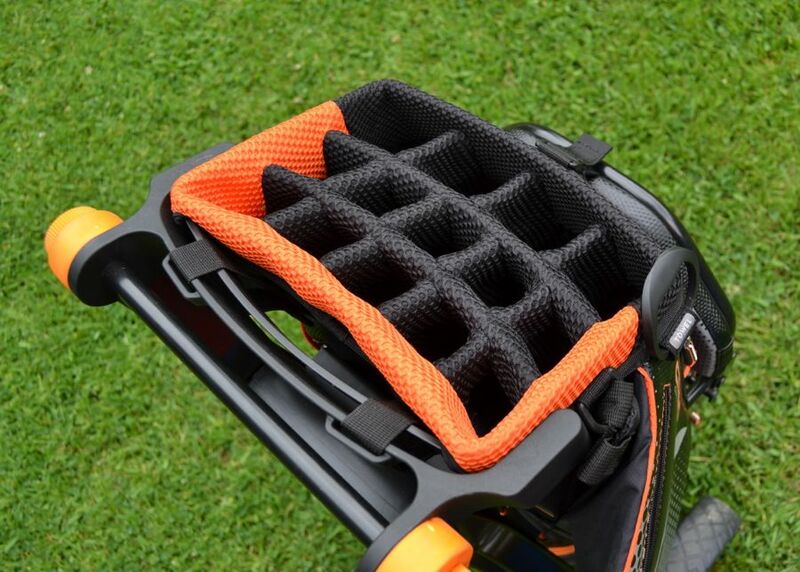 When not in use, it folds up, secured to the bag with a Velcro strap. Unhook that strap though and you now can recline in comfort. 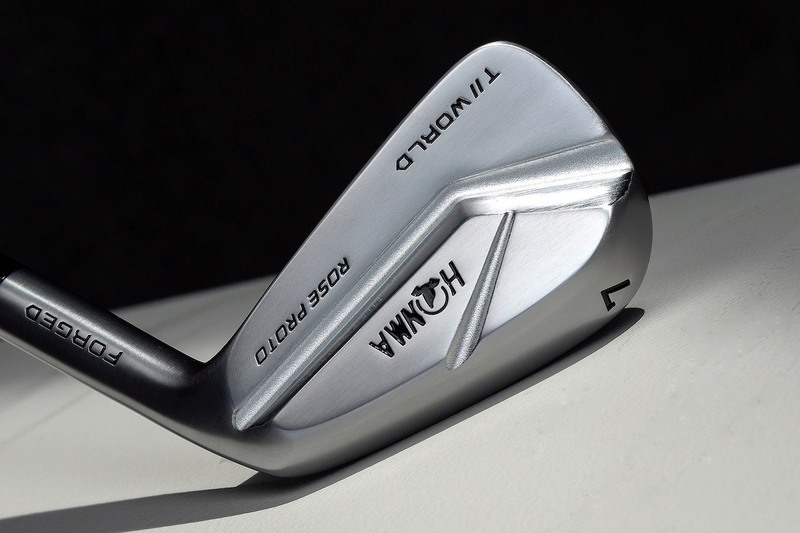 Did the five-some in front of you just decide that all putts must be holed? Drop the seat, pull a cold one out of the beverage pocket and relax. 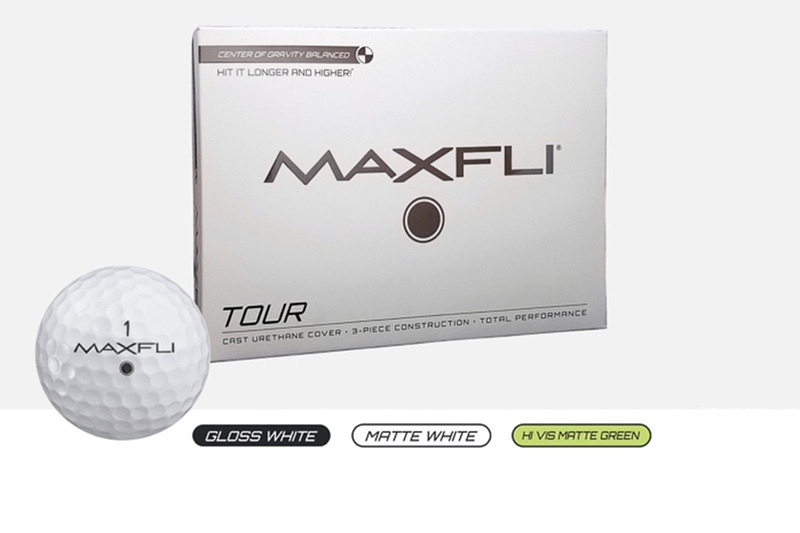 You are playing golf for the fun of it, right? Take a load off. 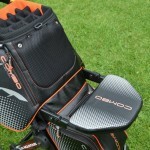 The seat rests at a comfortable height, and the bag itself has some built-in padding for your back. It’s significantly better than any other fold down seats I’ve come across. Those are stools. This is a recliner. 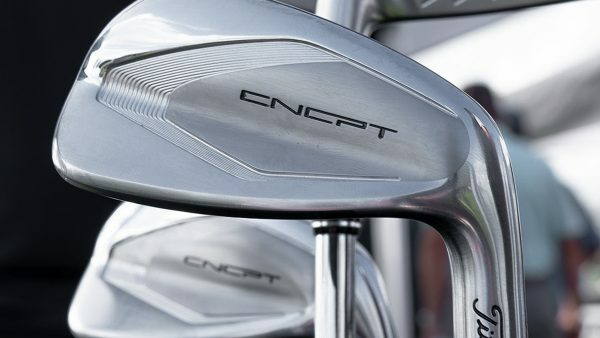 The seat alone will probably sell a bunch of Combo Carts, and it should. You can’t help but relax when you flop it down and take a seat. 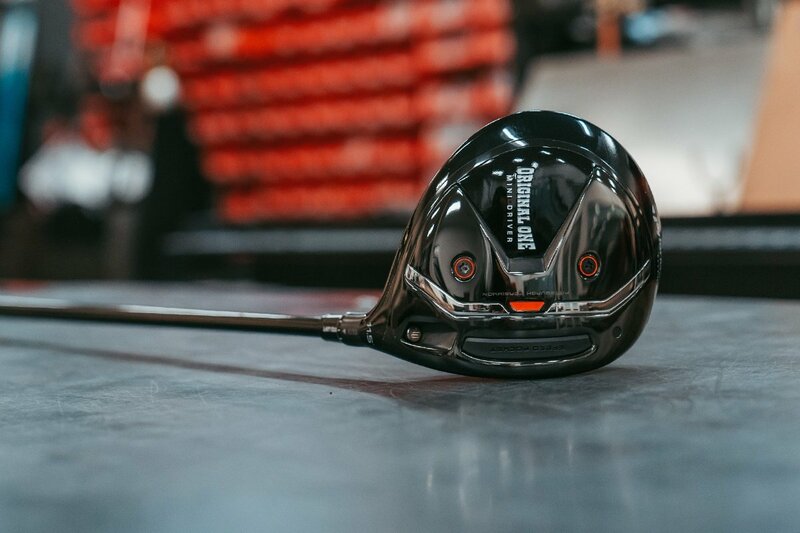 Golf just became fun again. While the weight and portability issues raised issues for the third judge, the other two scored the fight in favor of the Combo Cart. 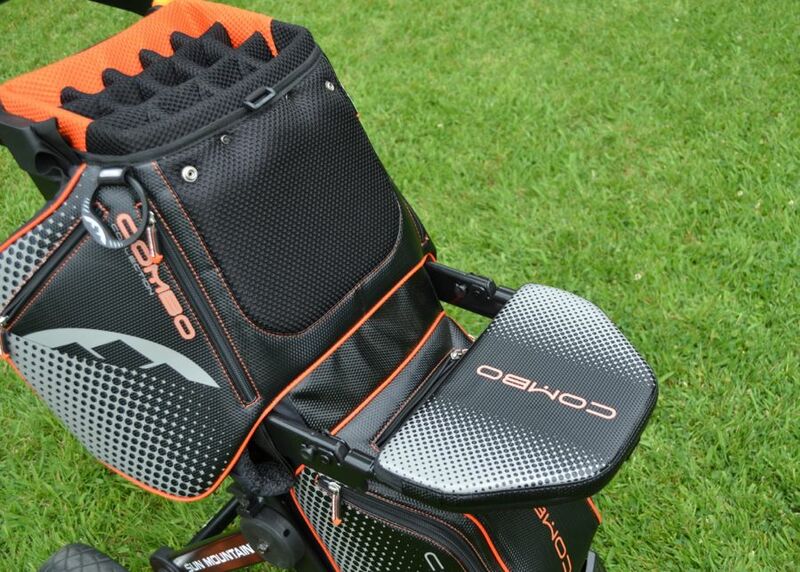 The cart is a solid performer on the course, with the addition of the seat making the package even more enticing. I’d prefer more insulated storage space, so that I could pack more treats to enjoy while sitting, but one can always reload at the turn. 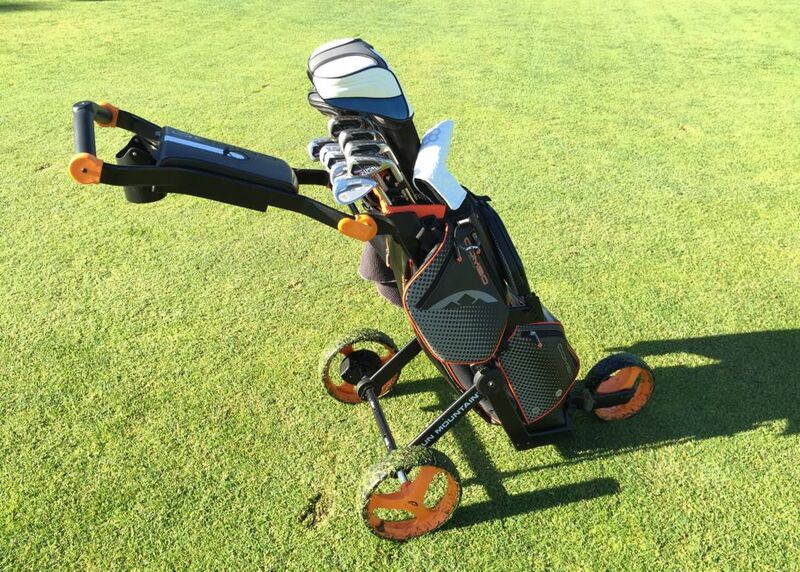 If you are looking to buy a new bag and a new cart this season, consider taking the Sun Mountain Combo Cart for a spin/sit. 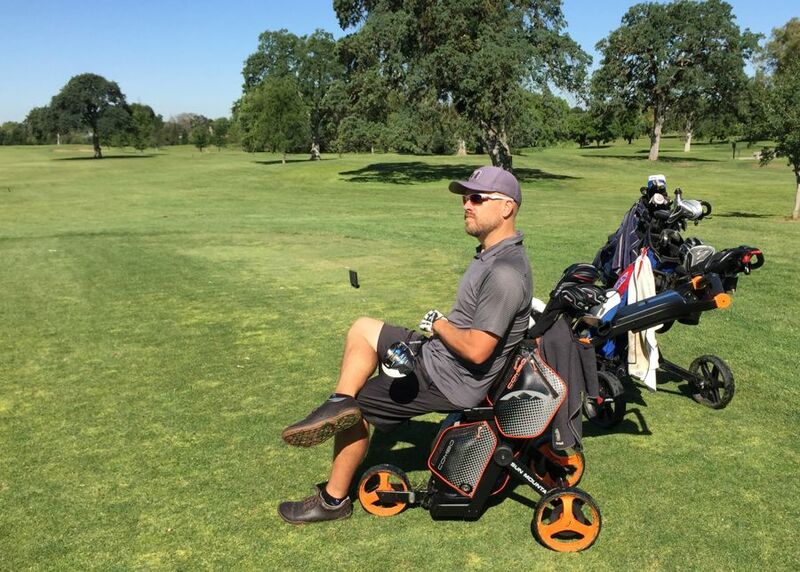 If I’m spending that much money, especially if it’s not very portable, I’m going to just go ahead and get a motorized cart already. I have a Sun Mountain bag and a Clicgear cart. I like them as separate components because each one was designed to be the ultimate at what it does and it does all of them well. The combo strike me as a gigantic compromise which does a lot of things, but none of them well. 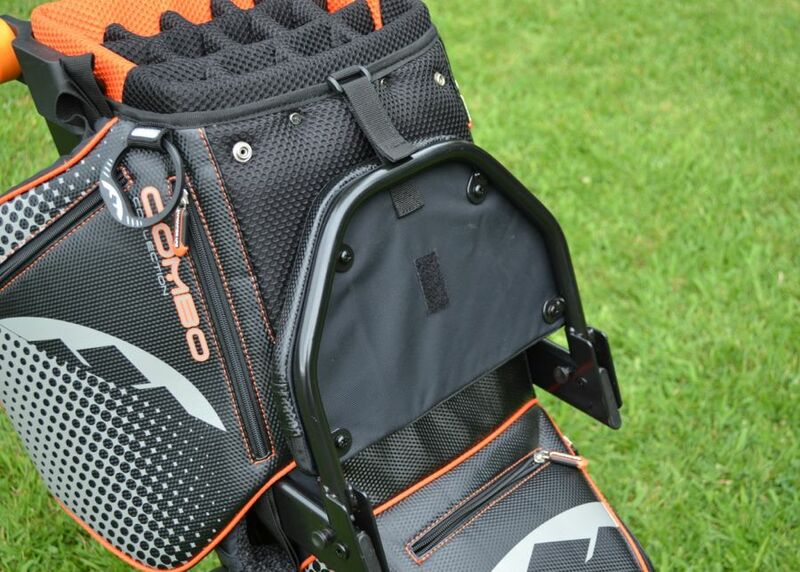 I have lots of pockets and insulation that work extremely well on the bag, and a cart that rolls all day long with great brakes and smooth operation, as well as holes for tees. On top of that, I paid a lot less than $500 for the both of them. How does this compare to the Alphard Duo? Any plans to do a review on the Duo? The Duo runs about $100 cheaper. Overall, I prefer the Combo. 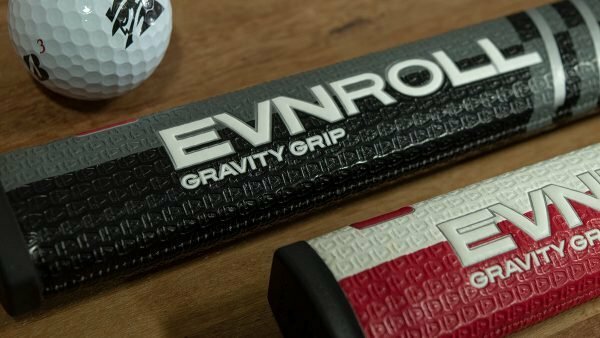 The Duo is a nice system, but the Combo is much easier to fold and is more stable on the course. That’s my quick head-to-head take. Rolls pretty stable for me. The Duo cart it’s actually very easy to setup and breakdown, I have the new click button main lock. Was initially uncertain if I should move onto the Duo Cart as I already have a clicgear, but having used the Duo now for 1.5 years I can’t imagine life without it. The easy fold and overall convenience is just awesome and now I can’t go back to the wobbly conventional cart plus bag setup. So I must regretfully give a STRONG WARNING for this bag. Fantastic construction but VERY POOR QUALITY. Add some color and Al Czervik would have loved this monstrosity. 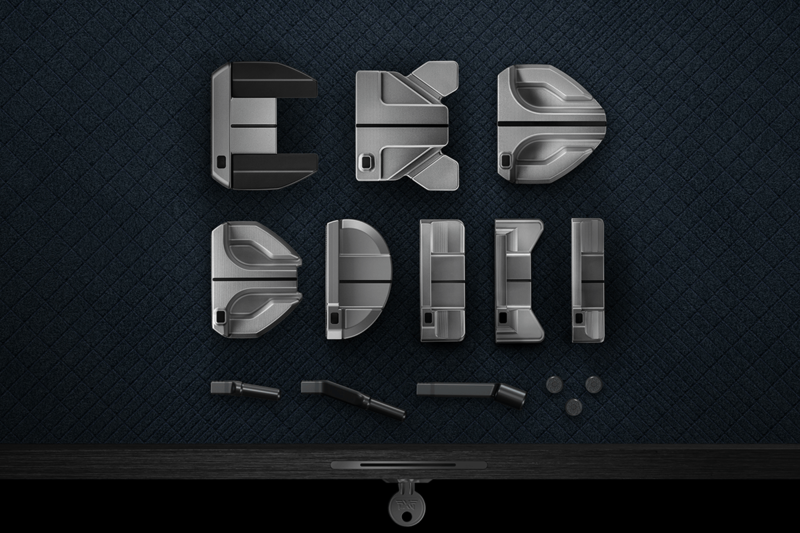 There are possibly a few others like me, engineer golfers with too much time on their hands, who have sketched out similar combo type designs. It is far bigger and heavier than it surely needs to be, while compromised on the storage side. 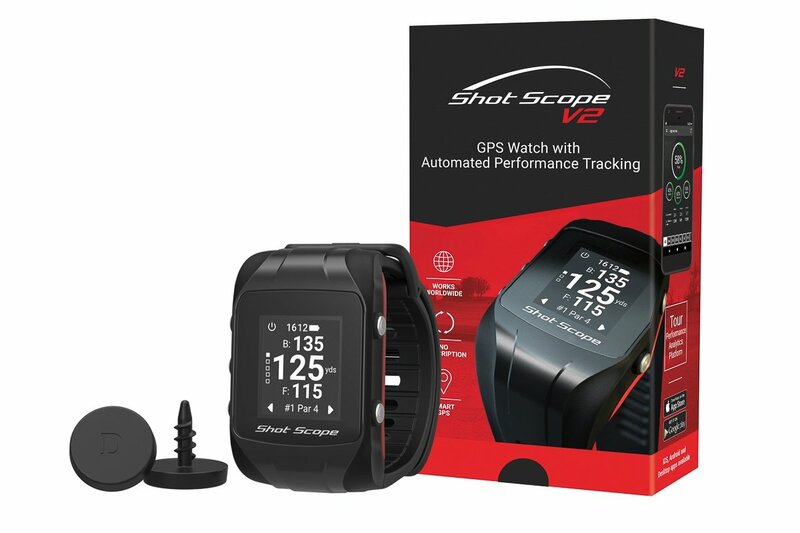 I hope the market generally moves this way, it is 2015 after all, but this particular design simply isn’t close enough to what should be technically possible. A nice first iteration. I have the original clicgear and would be interested in this once they fix the fact that it can’t be rolled to the car and once they move the break up to the handle. 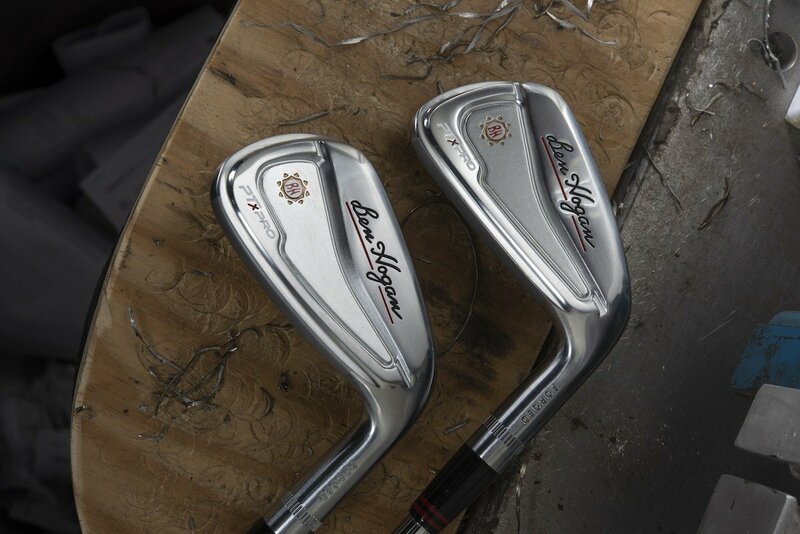 Right now I just leave the clicgear in my car when I carry my clubs in. 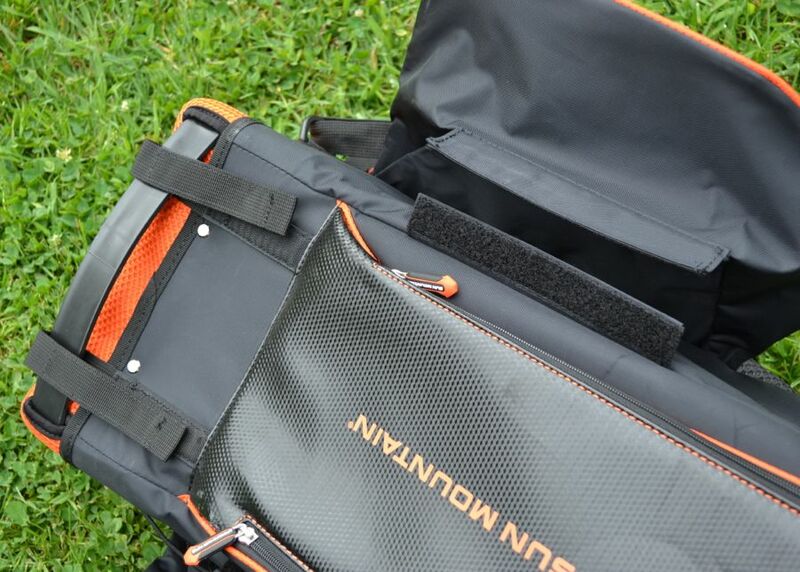 I’m not carrying 45 lbs to the car and I’m not folding and unfolding it or carrying my clubs and gear separately. I’m also not trying to operate a foot break while standing on a hill. COOOOMMMMBOOOO BREAKER!!!! Looks like it needs a little more refinement, but I like the idea. It’s a nice idea, but one that’s lost on me. All of the negatives you pointed out are vital to me, while the positives are meh. 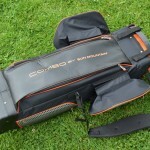 Since my wife plays too, I can get 2 SM MicroCarts and 2 SM cart bags in the trunk of my car. I don’t see 2 of these fitting in the trunk. 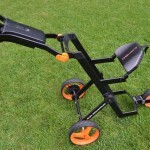 Folding and unfolding my carts is a breeze, and I would much prefer lifting my 15lb cart and 25lb bag than a 45lb combo. The seat might be nice, but I rarely have to wait while playing so this is not a needed feature. Looking at the pics, it looks like there are no full length pockets. That is a non-starter for me. 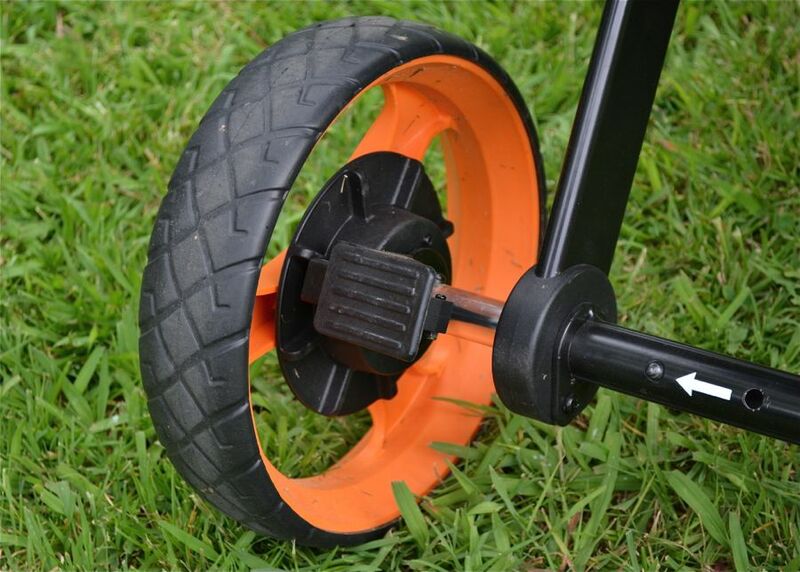 The grass around the front wheel is to be expected, and I don’t see that as a big deal because with any cart, the wheels pick up grass, dirt, mud, leaves, tack weeds, etc. so the trunk gets dirty anyway. It’s the nature of push carts. I can see where this design might be attractive to some users. The country club has an area for members to store their clubs and this would be perfect for that. It does sound like this may not be the fit for you and your individual situation. Two of these would take up quite a bit of trunk space. There is a large full length pocket. It is on the underside of the cart, running the whole length of the bag. 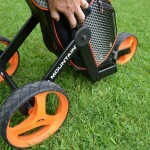 The back wheel base looks a bit narrow compared to most carts I’ve seen (and the one I use). 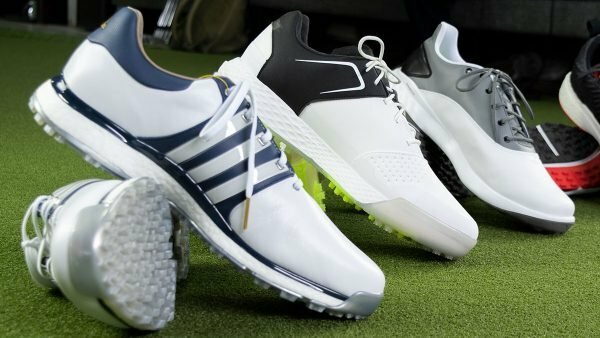 Did this create any issues on the course? Could you see it doing so? I’d be especially concerned about the width of the wheel base when using the fold-out seat. Maybe it’s not an issue though. Thanks for the review! While I’m not in the market, it’s always entertaining to read about new tech. 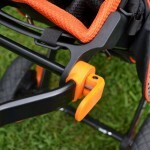 The back wheels can actually be adjusted to increase the wheelbase length. 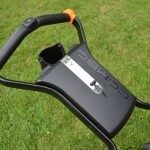 Overall I found it very stable, perhaps due to the weight combined with the wheelbase.